Executive Summary: SNe 2005ay is our first ToO target. Observations were conducted in cycle 1 (2005) and additional calibrations (reference frames) obtained in cycle 4 (2007). Data are fully reduced, and a first paper published here. The main result is that UV spectra of SNe II-P are remarkably similar, and that combining the data sets existing for three events so far (SN 1999em, HST/STIS; SN 2005cs, Swift/UVOT; our GALEX observations of SN 2005ay) you can trace the evolution of restframe UV spectra of SNe II-P throughout the first month after explosion, and use that information to calculate S-corrections, and interpret high redshifts survey data (where optical observations sample rest-UV SN light). Our findings bode well for SN II-P cosmology out to high redshift. GALEX NUV observations from April 2, 2005. Left - direct image. Right - corresponding grism image. 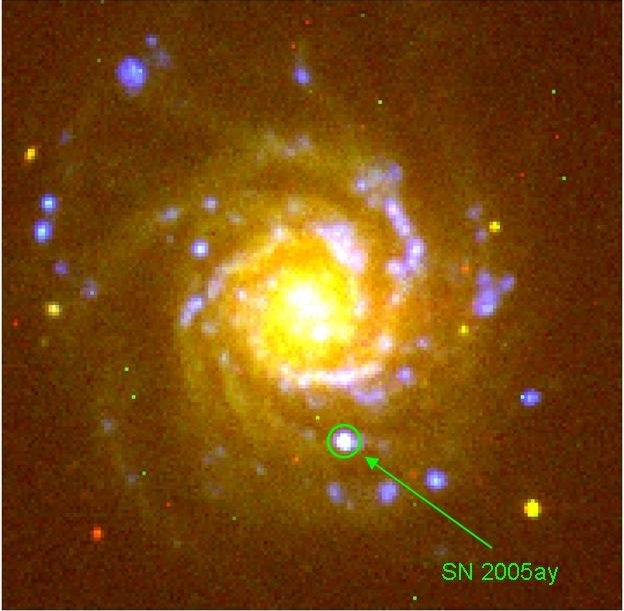 SN 2005ay is well detected in this single orbit grism image (out of a total of 12). 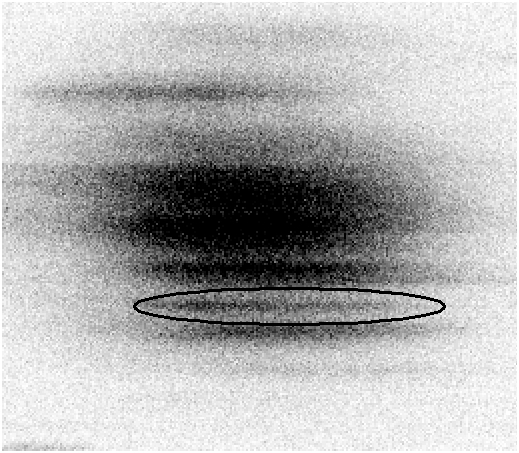 See observations published by Tsvetkov et al. (2006) here. TNG Dolores spectrum of SN 2005ay obtained on Mar. 31. Balmer lines are evident, and the blue continuum is indicative of a young type II SN (Courtesy M. Bufano and E. Cappellaro). 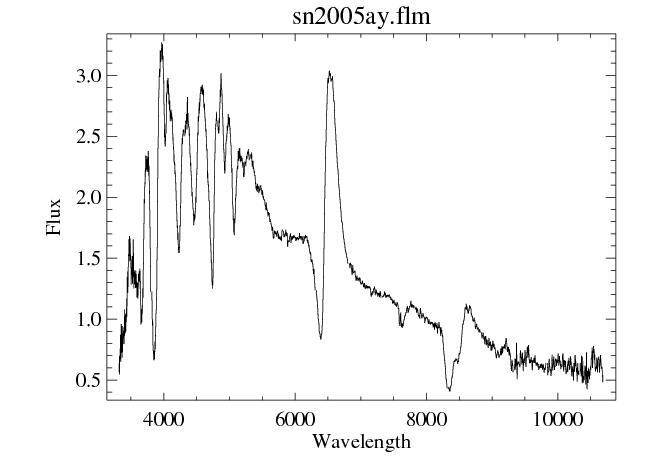 Lick 3m KAST spectrum of SN 2005ay obtained on Apr. 11. 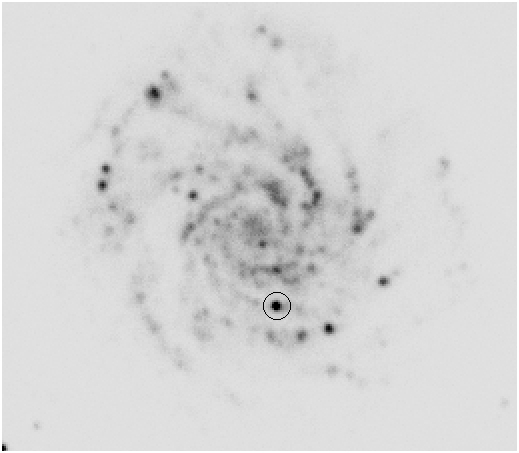 This looks like a pretty typical, well-evolved type II-P SN. Note the continuum drop below 4000 Angstrom. (Courtesy A. Filippenko and R. Foley).